Three months after its launching, Upbit became one of the largest cryptocurrency exchanges in South Korea. It boasts a list of over 120 cryptocurrencies and ranks among the top three in Bitcoin trading. Also, Upbit does not charge fees for deposits regardless of payment methods. In this guide, we present to you the steps on how you can start trading on Upbit. Before starting please take note that this exchange platform is intended for South Koreans only. 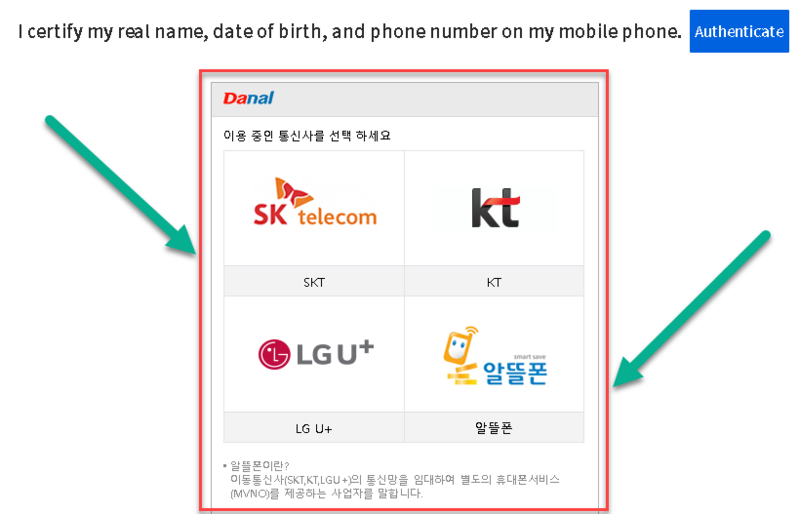 However, foreigners can also join as long as the four certificates as domestic Koreans are met (using regular KakaoTalk, log in through KakaoTalk account, KakaoPay certificate, & real name verification through Korean carrier). 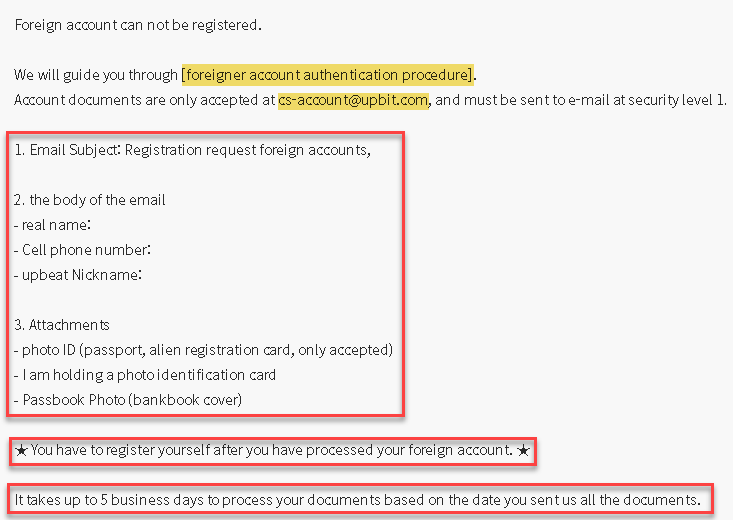 If you are a foreigner and plans to open a foreign account on Upbit, do check the details below. Let’s start the registration process by accessing the exchange site. Please click here. 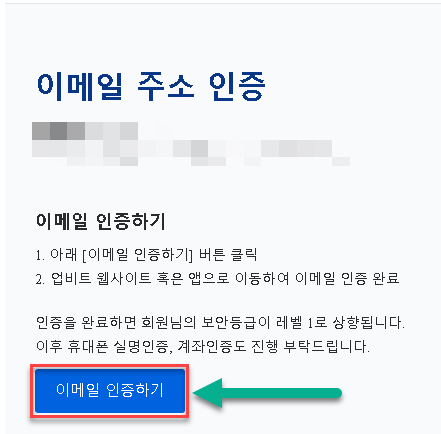 Since the platform is in Korean, you may set your browser’s language settings according to your preference. For Chrome browser as shown in the image below, click on the ‘Translator’ icon> Go to Options> Change Languages and choose your language. Additionally, you can also check “Always translate Korean” so you don’t have to hit ‘Translate’ every time you open a new page manually. After setting your language preference hit on the “Sign Up” button to proceed with the registration process. 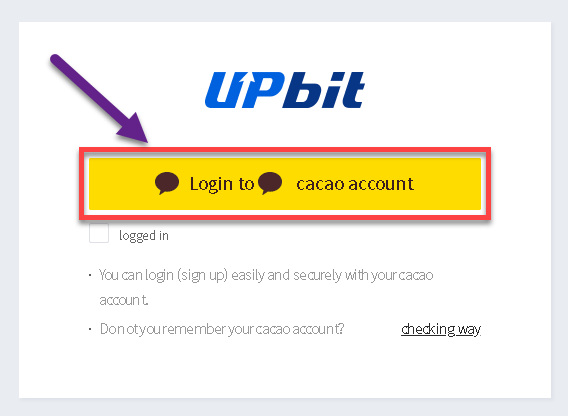 Click the “Login to cacao account” button. 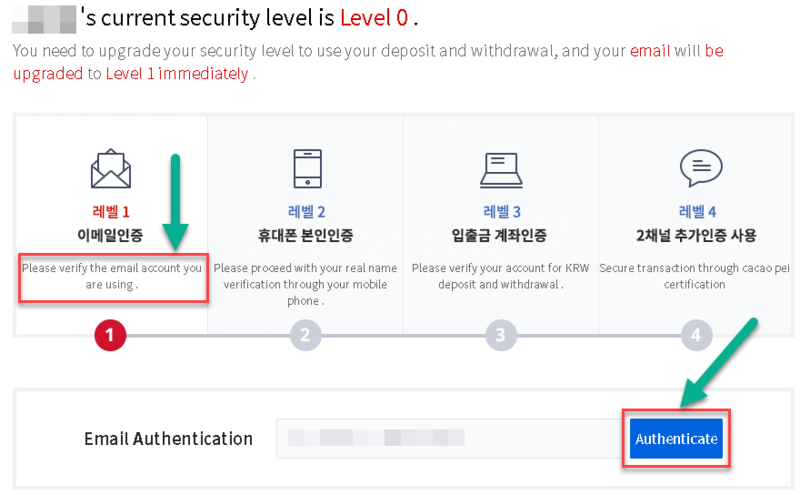 Upbit subscription/registration requires you to have a Kakao account. If you don’t have one yet, please proceed to “STEP 2” and follow the instructions. If you already have one, log-in using your registered email address and password. 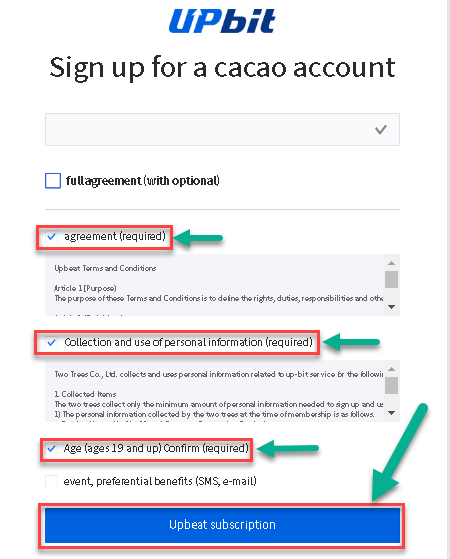 Check all required “Agreement” boxes and click the “Upbeat subscription” button. 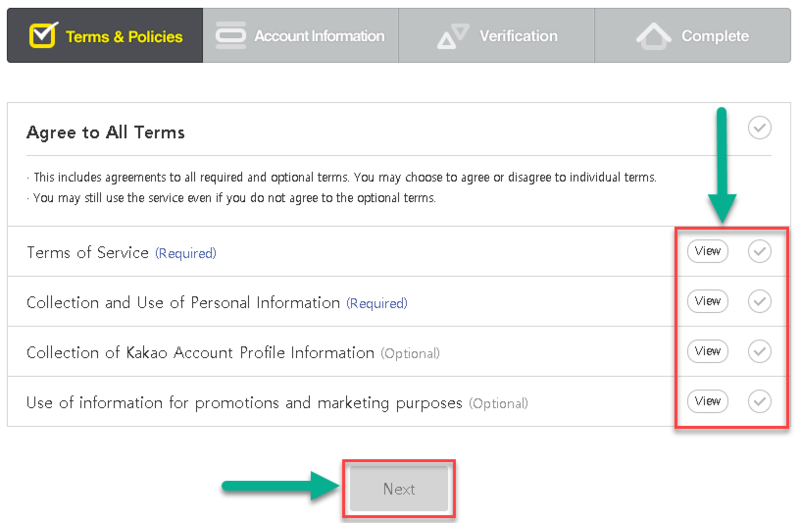 At this point, your account registration is already complete. Great job! You now have an account on Upbit. 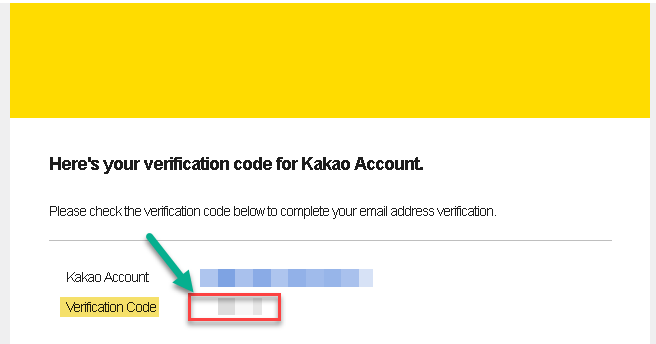 If you don’t have a Kakao account yet, please refer to the steps below to help you create one. To get one, click on the “Sign Up” button. Check the terms you want to agree. You may check all or only those that are required. After this, click Next. Type in your email address, password, and nickname. Hit ‘Next’ to go to the next page. Check your email for the verification code and enter it on the box provided. Click ‘Next’ once done. 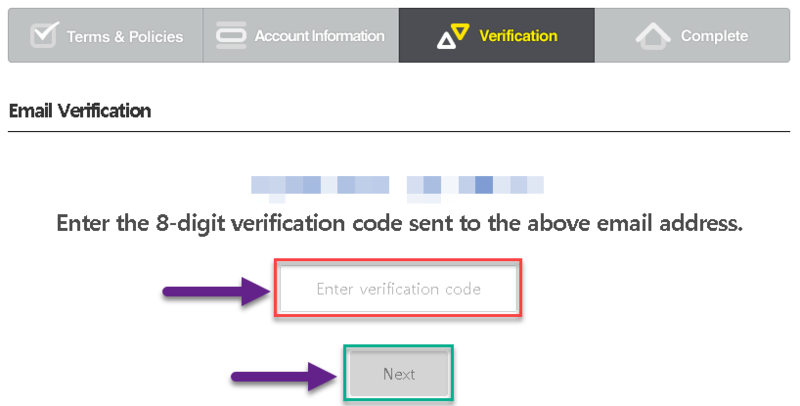 Below is a sample email with a verification code. To complete the process, hit on the “Confirm” button. 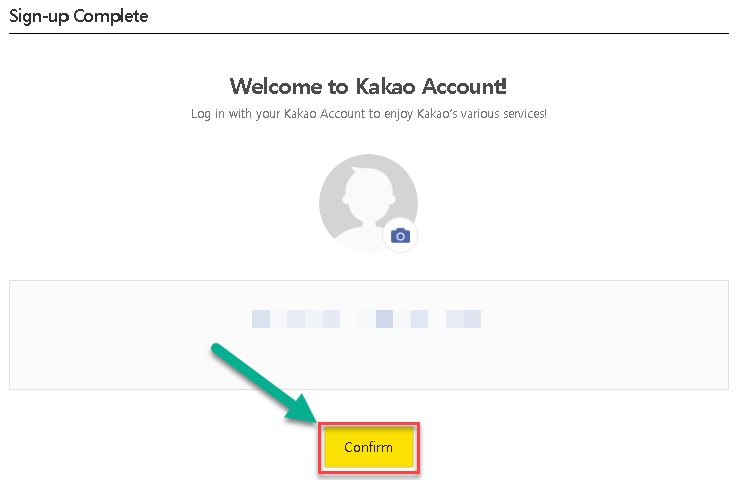 Since we used the “Log-in to Kakao account” link from Upbit, completing your Kakao account creation will redirect you to the next phase of the Upbit subscription. Check “Step 1” to finish your Upbit registration. Perfect! You have created a Kakao account for Upbit. 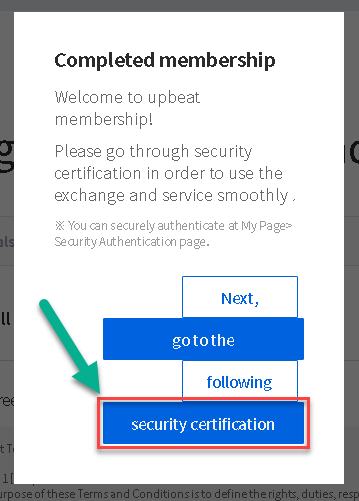 Now that you’ve created an account on Upbit, our next step is to pass the Security Certification. 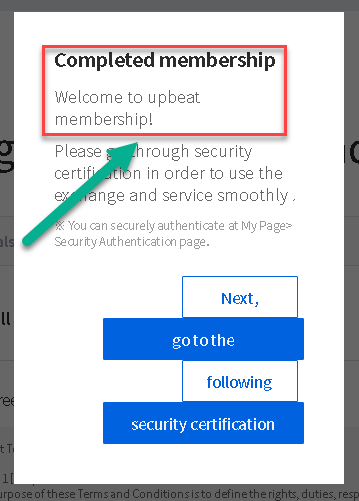 On the “Completed membership” page click on Security Certification. There are four levels in this step. 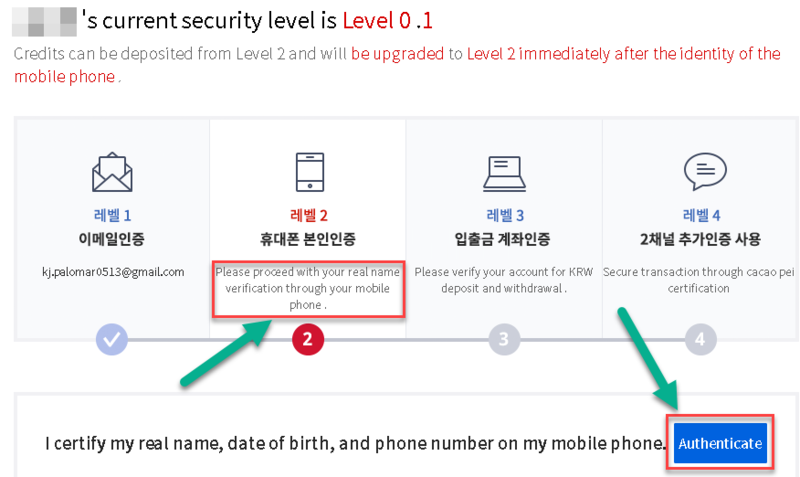 Level 1 will require you to verify your email address, Level 2 is for ‘Real Name Verification’ via a Korean mobile carrier, Level 3 is for Upbit account verification to enable the Deposit and Withdrawal functions, and lastly, Level 4 is to secure transactions through KakaoPay certification. 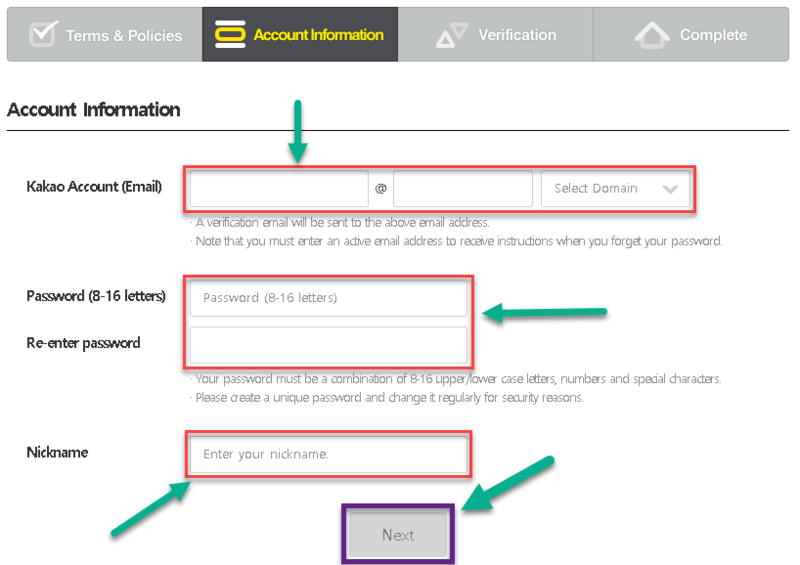 To do Level 1, enter your email address on the “Email Authentication” box and hit Authenticate. An email will be delivered to you to complete the verification. Open the email and click on the “Confirm” button as illustrated below. The link will then forward you to Level 2. 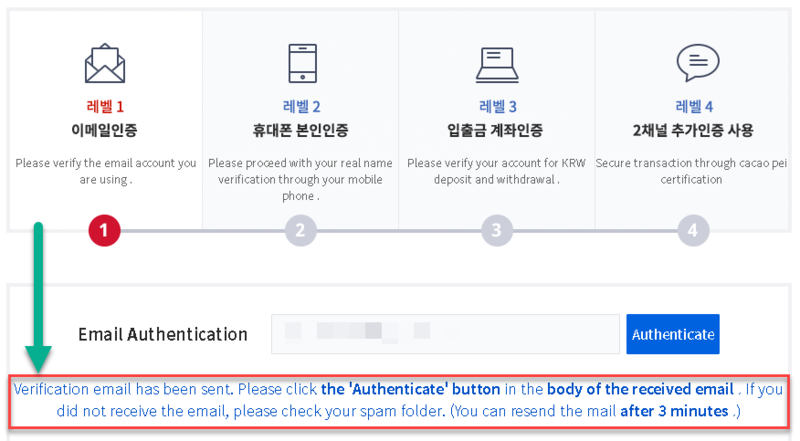 Here you will need a Korean carrier to pass the “Real Name” verification. Click “Authenticate” to continue. Choose your carrier and follow the next instructions to pass Level 2. Do the same with Levels 3 and 4. After passing the “Security Certification” process, you can now make a deposit and withdrawal and proceed with trading knowing that your transactions are secured. For foreign accounts, please follow the instructions provided on the image below for account registration/authentication. Excellent! You have verified your identity on Upbit. 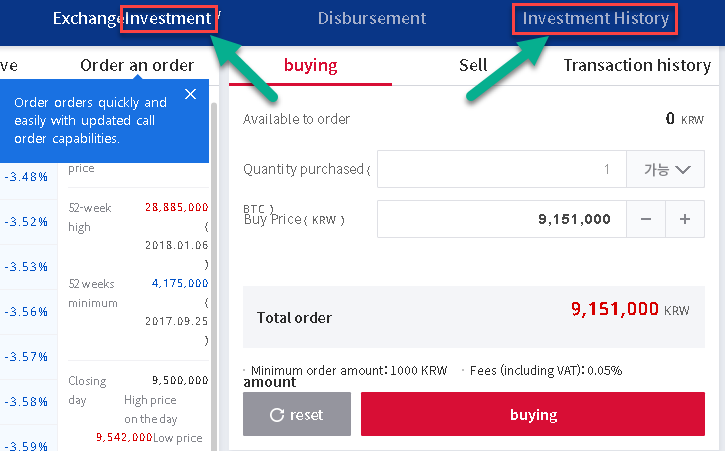 To put money into your Upbit account or make a deposit click on the “Disbursement” tab at the top of the page. Note: Only Korean currency or bank accounts are accepted when making deposits. The good news is, there is no deposit fee regardless of what payment method you will use. Enter the required information under “KWR charge” to initiate your deposit. Verify if all information is correct and up-to-date. You can view your balance on the ‘Total Assets’ section. Click this to get more information about “Deposits” on Upbit. Nice! You have added funds on your Upbit account. After your deposit is successful, you can now buy Polymath on Upbit. On the Upbit homepage scroll down and locate the “Buy/Sell” panel. It’s just below the Disbursement and Coin Trend tabs. The first thing you need to do is select your ‘Product’ or ‘Trading Pair’ on the right panel. After this, go to the Buy/Sell section and input the desired amount of Polymath you want to buy. If you agree to the total amount, click on the “Buying” button. A summary page will pop-up. Review the details and if everything is correct hit on the confirmation button. 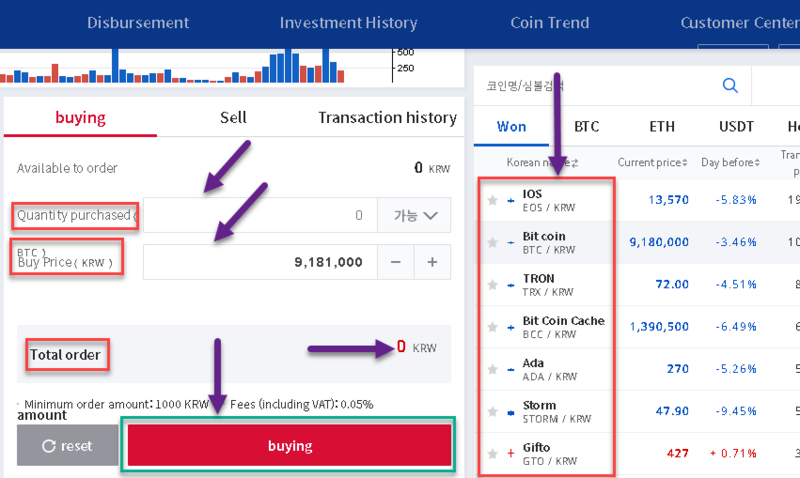 If you want to view the transaction you just made, click either the “Investment” or “Investment History” tab on the top of the page. Both options will direct you to the same page. Here, you will see all the details of your purchase. You can also check your ‘Transaction history’ and ‘Deposit/Withdrawal’ from here. Congratulations! You just got your first Polymath on Upbit. Transferring Polymath from Upbit to other exchanges. How to transfer Polymath from Upbit to Bittrex? Transferring Polymath from Upbit to wallets. How to buy Polymath on Bittrex? How to buy Polymath on Changelly?